Diwakar Travels is very popular to the passengers. Along with maintaining the passengers safety, it also give many bus ticket offers and discounts to the customers. Every bus in Diwakar Travel containing a good seating arrangement and provide the excellent services to the customers to complete journey without any hurdles when compared to the others. To travel different places in India by Diwakar Travels, eTravelSmart is the option to book bus tickets at cheap cost. Keeping your safety in view we recommend all our customers to avail FREE Travel Insurance option while booking on eTravelSmart. 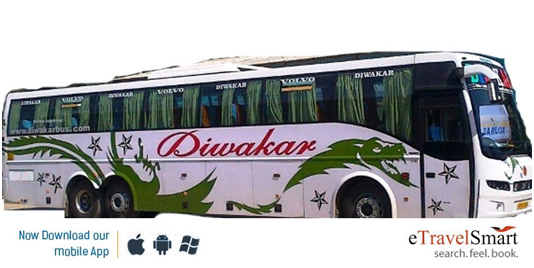 Diwakar Travels online bus ticket booking at eTravelSmart can be done by using ePayLater payment option. 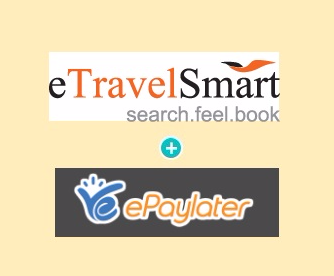 All the transactions made on eTravelSmart are secured and confidential. let you book bus ticket first and pay later. You get 14 days from the date of booking. “Jai Jawan Jai Kisan resounds throughout the India. Underlying this is the inner-most sentiments Jai Hindustan” which is said by Lal Bahadur Shastri. On this coming 71st Independence Day celebrate freedom of travelling with super offer @ eTravelSmart , Enjoy this long weekend using eTravelsmart offers for 4 days (from Saturday to Tuesday). 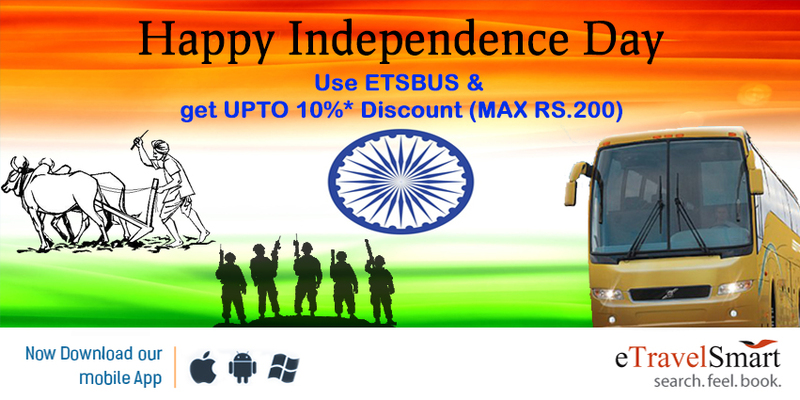 This Independence Day is celebrated along with Janmastami all over India with great happiness and double your happiness with eTravelsmart offer code ETSBUS. search , Feel , Book for more operators and travel on this long weekend with eTravelSmart exciting offers. 4. Get direct discount amount straight to your Wallet/Paid account. 5. Enjoy booking and happy traveling. Himachal Road Transport Corporation, also referred to as HRTC, is the state run bus service of Himachal Pradesh, India.HRTC serves to towns and cities within Himachal Pradesh and adjoining states of Uttrakhand, Chandigarh, Punjab, and Delhi. 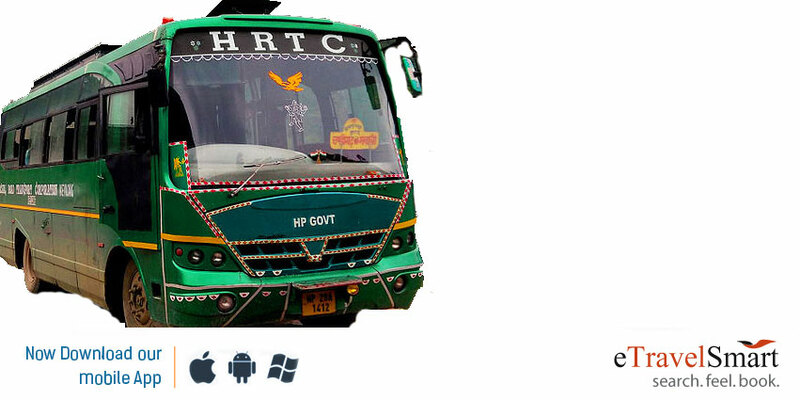 HRTC is one of the first RTC’s in India to offer a facility for online booking of tickets for all types of buses. Book Himachal Road Transport Corporation(HRTC) bus tickets at eTravelSmart and get Special Discount upto 10% OFF (Max Rs.200),Offer Valid Till 31st Dec 2017.